Indiana Historic Qualified Professionals, Brenner Design Architects and Kieser Consulting Group have been awarded the contract for the restoration of Indiana’s own Hoosier Gym. This iconic gym was featured in the 1986 movie “Hoosiers”. 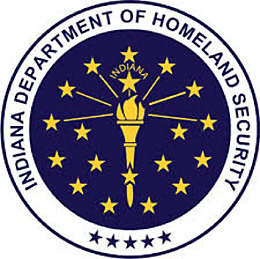 The Historic Hoosier Gym located in Knightstown, Indiana will undergo an exterior make-over funded in part by the Indiana Office of Community and Rural Affairs (OCRA). 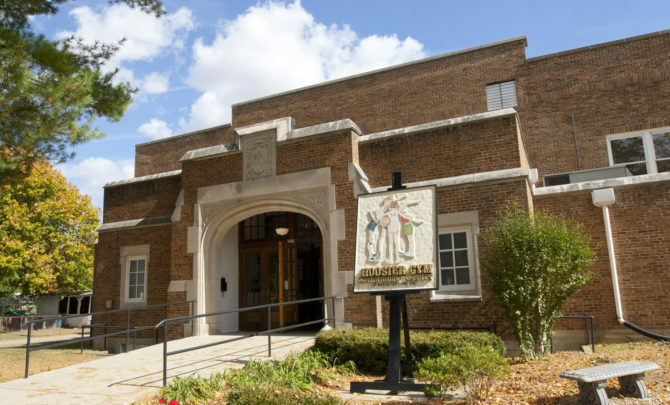 The original structure was built in 1921 and is used as a museum, community center and basketball event center. The Hoosier Gym was visited by nearly 70,000 guests last year from countries all over the world. 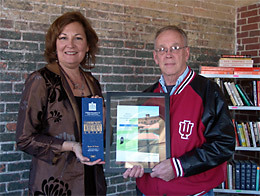 Brenner Design is an award-winning architectural firm which offers historic preservation services. Our expertise also includes; Arts & Culture, Healthcare, Higher Education, Hospitality, Housing, Sports and Workplace design. Kieser Consulting Group is an innovative planning consulting firm committed to providing services in the areas of comprehensive planning, environmental studies, grants, civil engineering, transportation planning and landscape architecture. Did you know that Brenner Design was creating collaborative work spaces before they were cool? We were also one of the first firms to incorporate healing garden space in healthcare environments, before “biophilic design” was even a term. Perhaps collaboration and healing come more naturally to women. Or perhaps we just help clients realize the benefits of creating workspaces that result in increased employee productivity and delivery of work product. Design must be functional as well as beautiful. Our firm has been providing award-winning design for buildings and interiors in Indianapolis for more than 25 years. We are the most-recognized and largest woman-owned architectural firm in Indianapolis, Indiana. Even so, our firm still lags behind male-led contemporaries in opportunities to bid on new ventures. Naturally, this means we also lag in overall revenues. According to a study completed last year by American Express OPEN, “Women’s entrepreneurship has been on the rise in the United States for the last two decades.” Nearly 9 million people work for just over 11.6 million women-owned businesses in the U.S., generating revenues of more than $1.7 trillion. Even so, only 39% of US firms are owned by women (and the numbers are even worse for the architecture field). You can help us nudge this number closer to 50%, and not just because your company may be entitled to receive tax incentives and/or benefits by hiring a WBE. Within your personal and professional network, think beyond the outdated cliche that an architect is a man. If you have used Brenner Design in the past, we appreciate your referrals. And if you haven’t used us yet, let’s talk! The time has come. In fact, it’s past time. We are ready, and we are relevant. Let’s arrange a time to discuss your project’s vision, objectives, and budget. 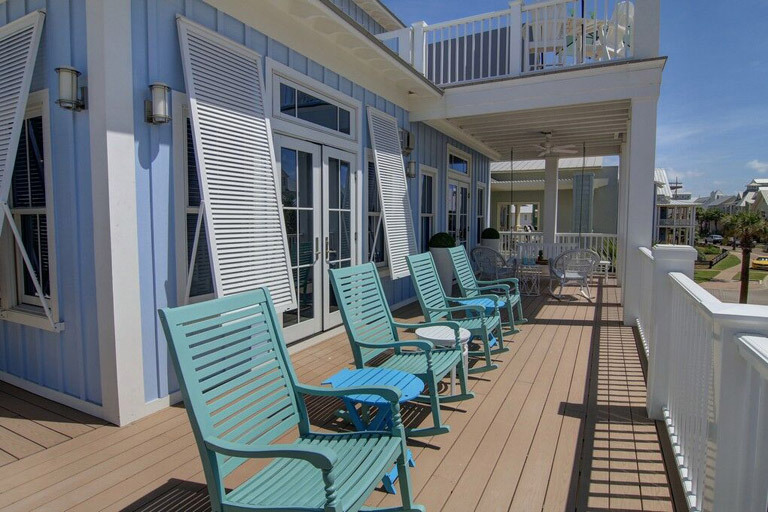 In June of this year, Brenner Design completed the Gruene House, a project we designed in Port Aransas, Texas. 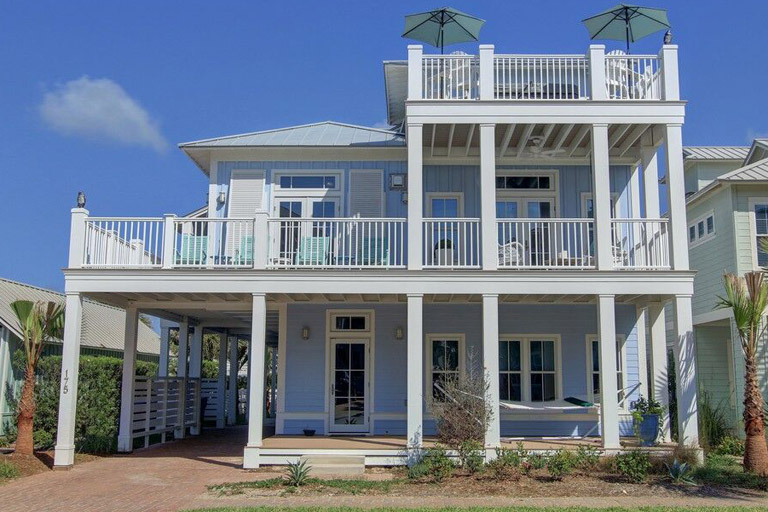 The Gruene House (pronounced “green”) is the first LEED-registered beach house on the Gulf Coast. And in August, it was directly in the path of Hurricane Harvey. As we watched the weather reports here in Indianapolis, we saw predictions that the eye would come dangerously close to Port A, as it’s affectionately known. There was little we could do except pray that the damage would be minimal, and the town would be spared. Houston’s extreme flooding got most of the media attention following Harvey, and Port A was largely ignored. But Port A took a direct hit from Harvey. The category 4 hurricane made landfall, winds reached 132 mph, and an eight-foot-tall tidal surge from the bay ransacked the town. In early October, our staff visited Port A to help residents by volunteering with our manual labor. We saw first-hand the results of the havoc waged by Mother Nature. Photos do not begin to convey the sheer devastation. Mountains of debris, including appliances, furniture, and more, lined almost every street in the town. Only two restaurants were open. A temporary food pantry was set up for construction workers. Ninety percent of the businesses were shuttered. Miraculously, the Gruene House survived, in part because of luck. Harvey’s winds came from the north, so the Gruene House was shielded by other homes. The storm surge did not reach the home, and no wind or water came over the dunes from the Gulf. We also credit the post-Harvey condition of the house to the type of construction materials used and conformance with newer building codes and windstorm requirements. The “envelope” of the house (its walls and roof) is constructed of six-inch-thick Structurally Insulated Panels (SIPs), and all the windows and doors utilize hurricane glass. The roof did not suffer any “lift,” so no water infiltrated, as happened to some of the other traditional stick-built homes in the same development. The high-quality exterior paint still looks new, even though hurricane winds have a sandblasting effect on exterior surfaces. Also, the house was designed as breakaway construction in case of storm surge flooding. In the end, the Gruene House lost only one piece of exterior trim (on a trellis) and one rail post cap. The painful process of cleaning up in order to rebuild was just starting when we were there. We are optimistic that this beautiful little town will rebuild and that all its residents decide to remain. 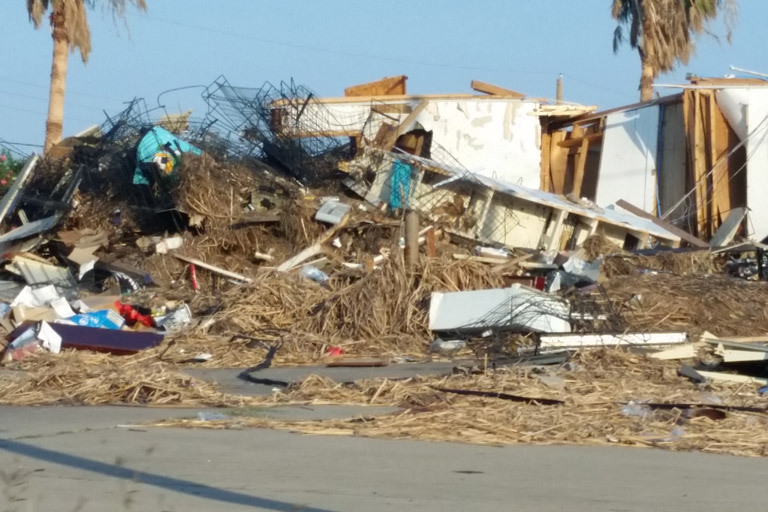 Cinnamon Shore, the community where the Gruene House is located, set up a special fund for Port A, and 90 percent of the money goes directly to help the townspeople. Brenner Design is proud to contribute. You can donate here. Brenner Design also acknowledges the vendors and manufacturers who supplied the quality materials that kept our project safe. Without them, the Gruene House might be severely damaged or gone completely. SIPS panels: Noark Enterprises, Inc.
For more information on the Gruene House (and to spend your vacation dollars in an area that can use them! ), click here. How do you design a company that doesn’t exist? How do you create a vision that endures? How do you attract customers you don’t even have? These were some of the questions we had for the founders at the inception of The National Bank of Indianapolis. Of course when we started working with them, they didn’t yet have a name. What they did have was relevant banking experience, over 150 years of combined local experience, along with a vision of providing an extremely high level of personalized service to professionals and executives, closely-held businesses and nonprofit organizations. They also had a solid business plan and had recruited well-known and successful businessmen and women to serve on their board of directors. Even with that great foundation, there was a lot of hard work ahead, from regulatory approvals, investors, real estate, technology, and creating an executive team. After all, what else can you expect when you build from the ground up? The planning started in February 1993 with cousins who had ties to the banking industry. The Bank’s Chairman, local businessman Michael S. (Mickey) Maurer, was already a successful entrepreneur. An attorney and owner of the Indianapolis Business Journal and MyStar Communications, Mickey used his business acumen and connections to forge relationships with companies tired of the old ways of banking. President and CEO Morris L. (Morrie) Maurer came from 18 years of direct experience in the banking industry, bringing financial expertise along with a concept of exceptional customer service, not to mention a vision of what the Bank could be. Joining this winning team were Philip B. Roby, another highly experienced banker, and a group of 17 additional bankers with multiple years of experience in various banking roles. Together, they forged the idea of creating a local community bank, one that focused on superior client service, active engagement in the local Indianapolis community, and one that was not bound by the constraints of the large national institutions and the whims of Wall Street. The idea was that all clients would be recognized, welcomed and served in a professional manner. This culture was engrained in every employee hired by the Bank. 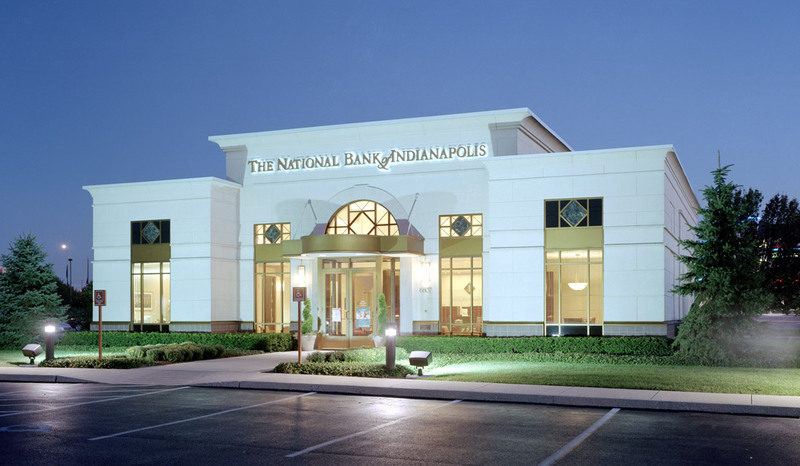 The National Bank of Indianapolis opened for business on December 23, 1993. Today, The National Bank of Indianapolis has grown to be the 11th largest bank in Indiana with approximately $2B in assets, providing banking and investment management services for more than 23,000 account relationships. In 1993, Brenner Design worked closely with Morrie Maurer to create the first physical space that reflected their values and goals, which would be critical in attracting clients. The corporate offices were designed to be inviting, not staid, while competent and accomplished. Materials like the signature green granite, cherry wood and limestone were selected to reflect a sense of permanence and success. As the Bank developed, marketing materials like logos and signage all tied to the overall design vision. Brenner Design and CSO Architects worked in tandem on the design of the first freestanding banking center. The plan is based on a Louis Sullivan-style of bank building (Brenner’s concept), with central banking lobby, teller line and client service areas flanking the sides. The building shell reflects the old-style banking image with faux limestone, gold-toned windows and doors, and the signature green diamond logo. The Bank strictly maintains the image of the original banking center, making small interior improvements over time. Even the exterior signage and the landscape design serves to reinforce the brand; the building design itself is branded and copyrighted. Consistency in design was extremely important and is evident throughout the Bank system. That first collaboration proved fruitful, and the Bank’s branded image is a hallmark to their overall success. Today there are over 13 locations throughout central Indiana, and Brenner Design acts as the “keeper of the brand” on every location. “Brenner Design has become a trusted advisor on design and facility issues,” said Morrie Maurer. The downtown flagship building, where they have been located since the beginning, is currently undergoing an exterior façade change to better reflect the Bank’s image. The façade of the first two floors is to be completely re-faced, and the existing upper aggregate panels will be cleaned and re-coated. New improvements include a new stainless steel entry canopy, light sconces, verde granite-faced columns, decorative medallions and replacement of spandrel glass with a durable faux limestone material. A new blade sign will be installed at the corner of the building, and an interior Bank logo sign will be installed above the entry canopy. Brenner Design worked closely with Morrie Maurer to transform an otherwise non-descript façade from the 1970s to an attractive icon for this successful institution. “Employees and clients alike are excited about the changes and are anxious to see the final result of the facelift,” said Ann Merkel, Senior Vice President and Chief Market Development Officer. We’re proud to partner with this outstanding local banking institution, working with them to create a trusted entity from the ground up. College sports is big business. In every athletic conference in the country, colleges and universities are vying for the best, most talented players available. Recruiting is extremely competitive with many factors for the players to consider. During the recruiting process, all aspects of a program are taken into consideration. Facilities are a huge part of the decision. With the onset of new sports networks (e.g. The Big Ten Network), income from distributions of profit are divided among component members to operate and improve their respective programs. This is happening in all types of collegiate sports, and the income they receive often gets allocated for new and improved sports facilities. 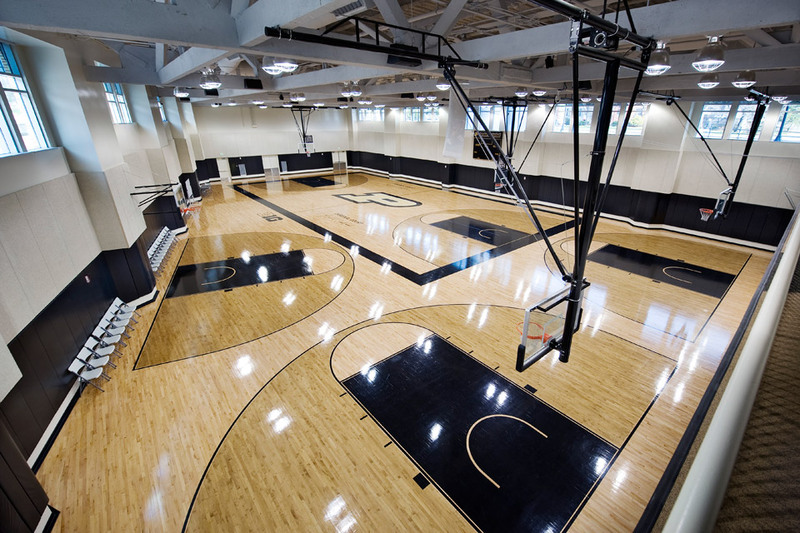 Enhanced facilities lead to better recruiting, which leads to a more successful program. 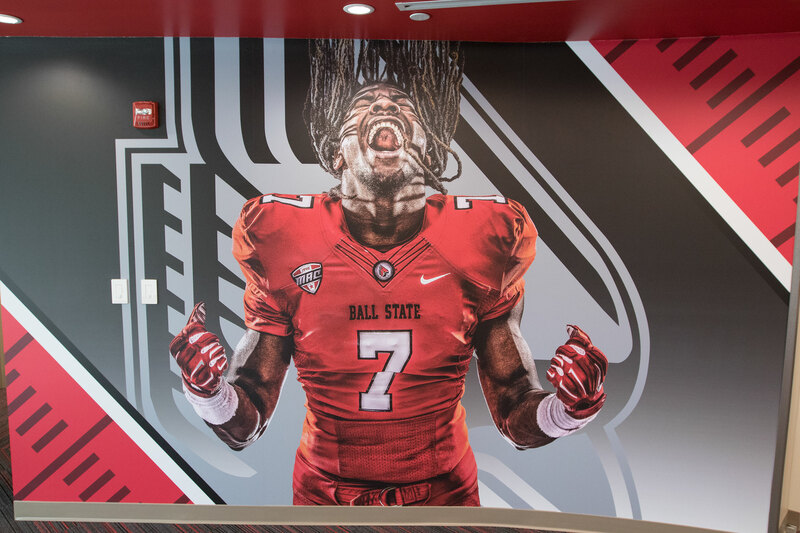 For the new Ball State University Football Complex, the design focused on overall recruitment. As the saying goes, “You only have one chance to make a first impression.” The face of the facility had to make that good first impression and reflect the seriousness and commitment of the institution to its program. 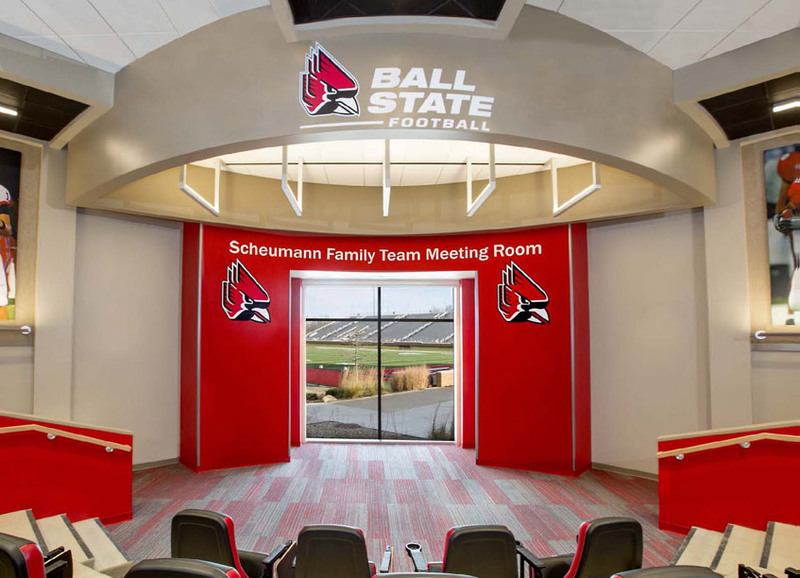 Initially, the building was to be located on the southeast side of the existing Scheumann Stadium, basically at the back door of the football training center complex. 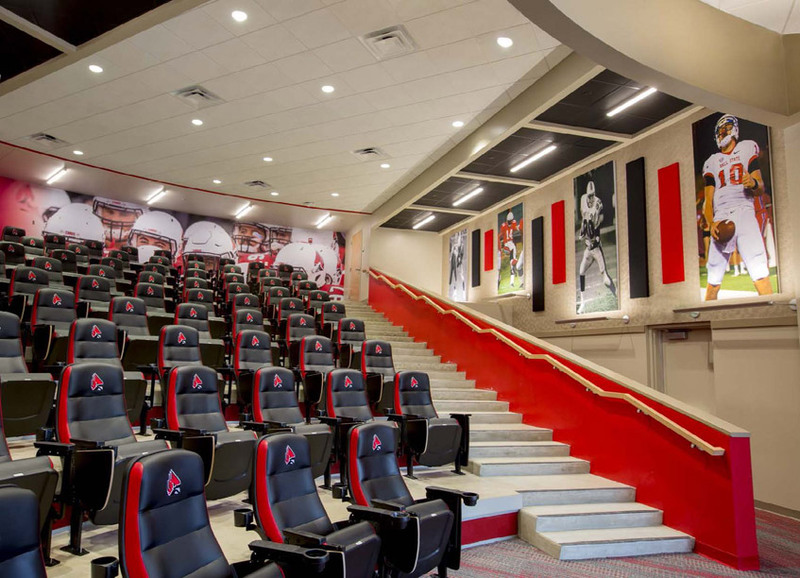 The existing program was utilizing an outdated facility originally designed for training, for team meetings and coaches’ offices. After completing a site study and evaluation of the pros and cons of both the east and west sites, it was Brenner Design’s recommendation to place the new structure at the western location. 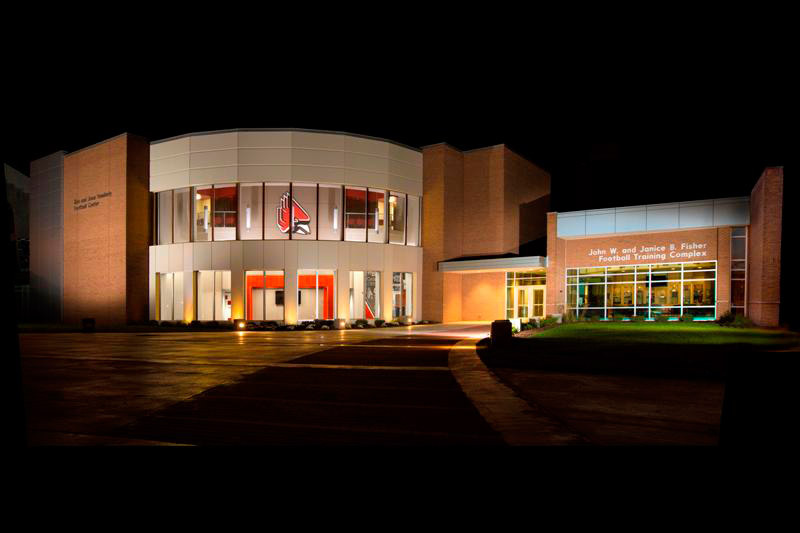 This put the new complex at the forefront of the stadium proper, in direct view of the Ball State University Alumni Center. An exterior plaza was also planned at the entry, to be used as a drop-off point and gathering place for pep rallies. From the start, the goal of the building was to create a “wow!” factor to catch the attention of potential recruits. The architectural façade needed to be eye-catching; the interior of the building needed to be equally impressive. The exterior façade was designed to mimic the existing colonnade of the stadium, giving the structure a feel of competitive athletics. The new structure also needed to compliment the entry façade of the existing training center. The view from the plaza into the upper level was planned to include an oversized electronic mesh video screen that could highlight the history and successes of the team, and offer the opportunity to show live action from within the stadium. The building encases an impressive meeting room that accommodates the entire team, staff and coaches. Large-scale graphics and images of past players double as sound masking around the perimeter of the room. The room’s front stage focuses on the head coach, with a projection screen that can be raised to expose a view of the playing field. The team can access the field directly from the bottom level of the room. The upper level acts a reception area that starts the journey through the recruitment dance. The area acts to showcase past accomplishments of the team, and to tell player success stories as well as displaying current uniforms and the upcoming team schedule. The recruits are escorted through the facility to meet with managers, staff and eventually the head coach in a presentation conference room. The head coach’s office has a corner view to the entire football field. It can also be used to recruit other coaching staff and entertain influential alumni. *The BSU Football Complex received an award for outstanding design of an unbuilt project by American School & University magazine. It has been submitted as a built project with the results to be announced later in 2017. The 10-story downtown building that houses the headquarters of The National Bank of Indianapolis is about to get a major facelift. 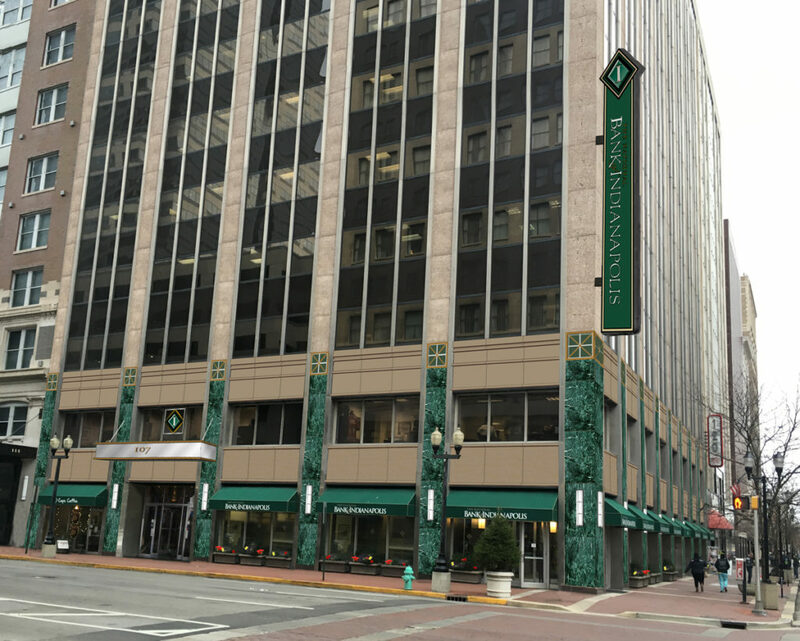 Exterior work on the nearly $1 million project at 107 N. Pennsylvania St. should begin by the end of the month and finish by September, bank President Morris L. Maurer told IBJ. With 284 employees, The National Bank of Indianapolis is the area’s seventh-largest bank, according to IBJ statistics. It was founded in 1993 by Michael S. Maurer, a co-owner of IBJ Media, and is the largest locally owned bank in the area. The bank has been headquartered in the 100,000-square-foot building since launching nearly 25 years ago with a single banking center on the first floor. Operations have grown from a single floor to now most of the building. Upgrades to the first few floors of the exterior will include a new stainless steel entry canopy, verde marble-faced columns, decorative medallions and new light sconces. Existing aggregate panels will be cleaned and resurfaced, black spandrel glass on the first and second floors will be replaced with new faux stone panels, and a new blade sign will be installed at the corner of Market and Pennsylvania streets. The National Bank of Indianapolis bought the building in 1998, five years after opening the branch there, from Lacy Diversified Industries Ltd. Originally called the Lemcke Building, it was constructed in two phases. The first seven floors were built in 1899, and the remaining three floors were added in 1906. The building was completely renovated in 1974 and given a contemporary facade, which has stood for more than 40 years. Diana M.H. Brenner, president of locally based Brenner Design, is the architect on the facade revamp. The Indianapolis Historic Preservation Commission approved the design in July. The National Bank of Indianapolis had hoped to start the project last fall but encountered problems trying to secure the correct marble. By the time it did, winter had arrived. “It delayed us enough to say, ‘Let’s just wait until spring,’” Morris L. Maurer said. 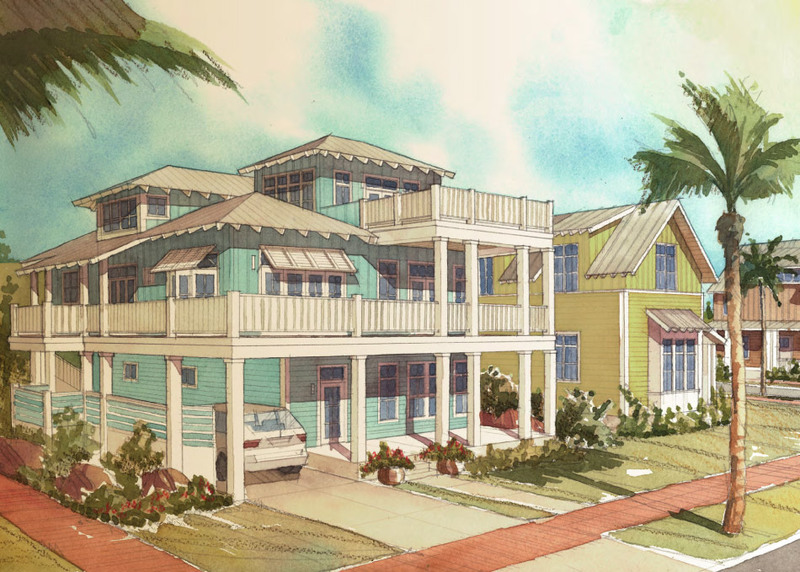 When you go on spring break to warmer weather, you might not necessarily be thinking about saving the planet — much less about sustainable design! But there are environmentally friendly options when it comes to accommodations. With a little searching, you might be able to find a place to stay that meets your needs, is healthy, energy efficient and good for the environment at the same time. The Gruene House (pronounced “green”) is the first LEED registered beach house on the Gulf Coast, located at Cinnamon Shore on Mustang Island in Port Aransas, Texas. The LEED (Leadership in Energy and Environmental Design) movement was founded in 1993. Since then, it has changed the way we think about how buildings, homes and communities are planned, constructed, maintained and operated. Cinnamon Shore is a New Urbanism development started in 1999. It was designed with LEED principles in mind, including walkability, access to public transportation, close proximity to restaurants, cafes, market, entertainment, pools, ponds and parks. LEED homes like The Gruene House are built to provide healthy living environments that use less energy and water. This means lower utility bills as well as clean indoor air and incorporation of safe building materials. 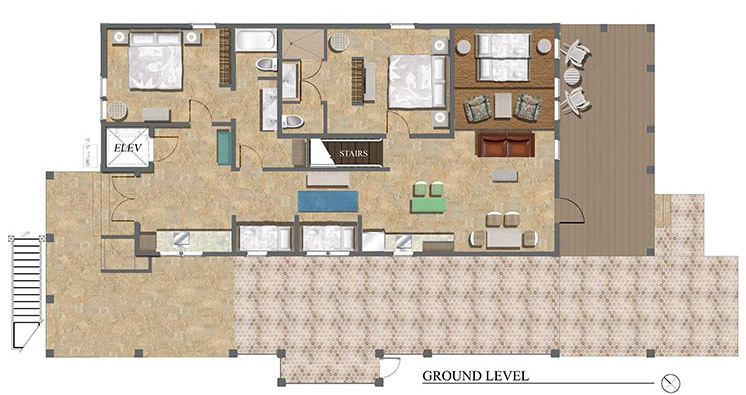 The Gruene House was designed by Brenner Design and built with these criteria in mind. The exterior and roof are built primarily of SIPS (Structurally Insulated Panel System). The SIPS are extremely energy efficient and are a renewable resource. SIPS panels are designed to be more hurricane resistant than traditional stick-built framing. The house also incorporates a “breakaway” feature that allows water to flow through the house with minor damage in case of a tidal surge. The interiors utilize low VOC paints (low off-gassing) and FSC certified (renewable) wood products like flooring and cabinetry. Porcelain tile flooring and granite counters were locally sourced. Plumbing fixtures incorporate water-saving devices, and LED light fixtures are utilized. The Gruene House, slated for completion by May 31, 2017, is not only healthy and sustainable, it is beautiful as well and a perfect addition to this little slice-of-heaven community. Cinnamon Shore, just steps to the beach, preserves natural features like a 200’ sand dune habitat, two fishing lakes and park spaces. 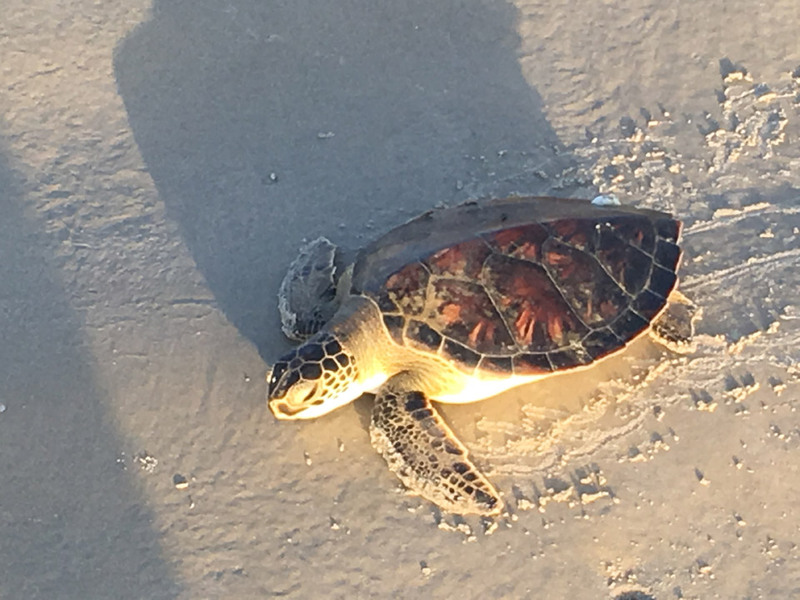 Sand cranes, sea turtles and pelicans are a common sight in the development. For your next spring break, family vacation or corporate retreat, think sustainable! Check out Cinnamon Shore and the Gruene House. If you’ve been considering a more environmentally friendly design/building project and want to learn more, please contact Brenner Design. We’d be happy to talk with you. Ever done something that no one else has done before? Ever create something new? Ever made a success out of a project when no one thought you could? Ever tried something that intimidated you, only to succeed? As we continue celebrating our 25th year in business, we’ve been in a bit of a contemplative state, looking back at what we’ve managed to achieve — and sometimes shaking our heads at the courage (or audacity) it often took for us to undertake a project. Trailblazers. Those individuals who quietly take on a leadership role and make the path easier for others. Those who see what’s possible instead of what’s impossible. Who create a portfolio of firsts by simply doing what they do best. Are you a trailblazer? If not, consider what might be holding you back. Whatever you’ve done or are striving to do, know that it is possible with perseverance, drive, commitment and passion. Who knows what you might accomplish! 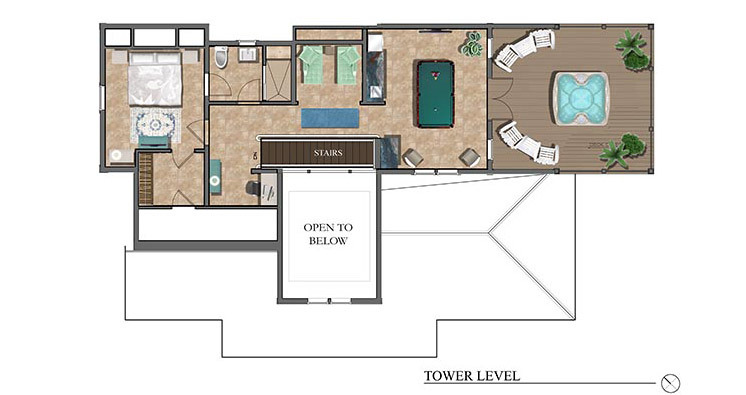 When Brenner Design envisions a new building or interior, it’s never been done before. We create one-of-a-kind structures and spaces that have never been seen before. We convince our clients to take a leap of faith in believing in an outcome that they can’t see or touch. 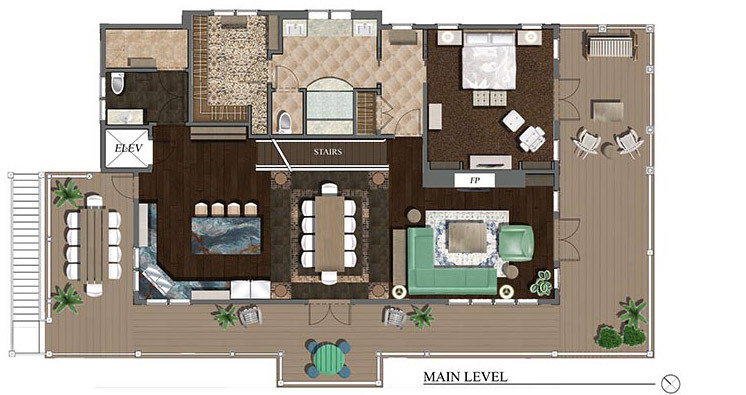 Each project stands on its own as a custom solution that meets each client’s particular needs. As an award-winning architectural and interior design firm, you could say that Brenner Design blazes new trails every day. We love what we do and invite you to consider us for your next project. We are fiercely committed to delivering exceptional, ground-breaking results for every one of our clients. How do we do that? By being outstanding in our field. By knowing the architectural business inside and out, and not being afraid, ever, to try something new. By being exceedingly professional, innovative and successful. And finally, by rolling our sleeves up and getting to work blazing those trails. We’re proud to say that our trailblazing attitude has been rewarded with some industry firsts. The most important thing about those firsts? We’re paving the way for younger women architects in our profession. See the firsts that we stand proud of achieving! First Woman Architect to design a building on the campus of Purdue University. 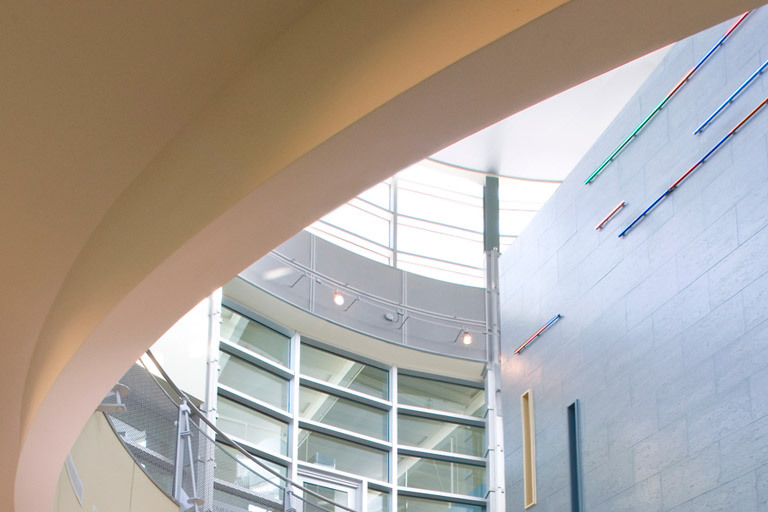 First Woman Architect to design a building on the campus of Ball State University. 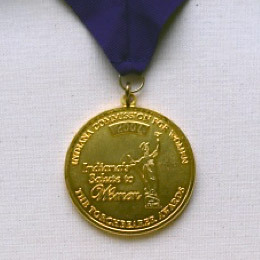 First Woman Architect to receive the Torchbearer Award from the Indiana Commission for Women. First Woman Architect to be named to the Indiana Fire & Building Safety Commission. First Woman Architect to be named to the Indianapolis Historic Preservation Commission. 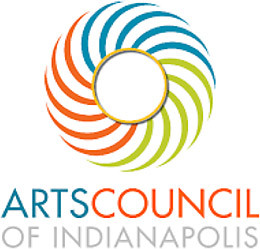 First Woman Architect to be named to the board of the Indianapolis Arts Council. Brenner Design (BDI) is excited and proud to celebrate our 25th year in business this month. As we continue to move forward to our next milestones, we’d like to take this opportunity to look back, reflect and celebrate the hard work, serendipity and accomplishments of this woman-owned business. Brenner Design was founded in 1992 by Diana Brenner when the company she was working for suddenly closed. (That firm announced on a Monday afternoon that it was closing the following Friday.) Looking at two options, either accepting a job and moving to Cleveland, or starting her own company in Indianapolis, Diana decided to take a leap of faith. She had three days to find office space, hire a staff and find clients. Luckily, a former client engaged her to finish their project. With commitments of $60,000 in contracts, along with $500 in cash and $1,500 in equipment, she became a business owner. She knew how to design the work and manage the staff, but the looming question remained: could she bring in more contracts? At the same time she started her company, she was finishing her thesis semester in Architecture at Ball State. Diana was also the mother of young sons (then two and six years of age), so her plate was full to say the least! Fortunately Diana’s husband, Lew, was extremely supportive of her ambitious goals for herself and their family. Not realizing that most new companies cannot get loans from banks, she naively approached a banker for whom she she had done design work and received one of many lucky breaks: the banker approved a credit line of $15,000 to buy new computer equipment. The company moved into office/warehouse space on the northeast side of Indianapolis that belonged to an out-of-town developer. The firm traded space planning services for rent for the first three months. The offices there were broken into twice, and all the firm’s computers were stolen. After the first break-in, the firm added better locks and alarms. For the second break-in, the thieves cut a hole in the demising wall and entered from tenant space next door. Their general liability insurance was cancelled. Despite those losses, BDI booked $370,000 in gross revenues with three employees in its first year. Twenty-five years later, Brenner Design has booked up to $3,700,000 in annual revenue and has had up to 15 employees. BDI has ranked as the 13th largest architectural firm, the 8th largest interior design firm and ranks in the top ten furniture dealers. Brenner Design is the largest 100% woman-owned architectural firm in Indiana and also does work nationally. Brenner Design’s award-winning portfolio includes projects in ten project types, including Corporate, Financial, Government, Healthcare, Higher Education, Historic Preservation, Hospitality, Law, Residential ,and Restaurant & Retail. BDI set a goal of obtaining one design award per year and articles written by or about, one article per year. 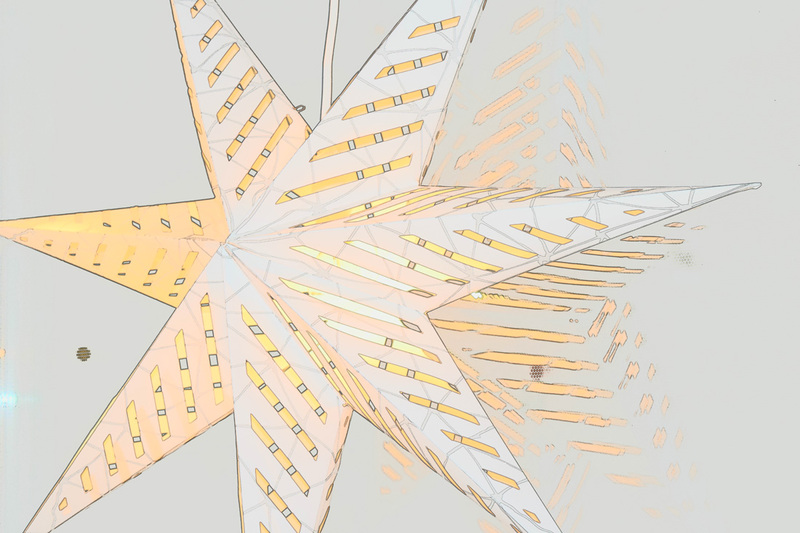 Contributing author of one book Significant Interiors – 2008, contributing author published in the AIA Architect’s handbook – 2006, featured in one video, Voices of Practice – 2001. Here’s to a productive and safe 2017. The staff of Brenner Design would like to invite all our Clients and prospective Clients to reflect on notable events over the past year. As we look forward, we hope everyone will be humble, kind and fair in both business and in personal relationships. For this New Year’s we celebrate being a part of a vibrant Indianapolis community. Politics: Governor Pence is now Vice President Elect. Eric Holcomb is Governor Elect. Suzanne Crouch is Lt. Governor Elect. Hoosiers rock! Community Service: In association with Woman’s Life Chapter 611, we helped raise over $25,000 for local charities and neighbors in need. Mickey’s Camp for Women celebrated 10 years of philanthropy in our own community. Sports: Our good friend Tamika Catchings retired from the Fever. The Indianapolis Colts almost made the playoffs. Our Indiana University Football Team made a bowl game! New Clients: This year we were privileged to add TWG Development, The City of Southport, Holladay Corporation, Operations Intelligence Center, FoxConn, and Monon Food Company to our list of successful clients. 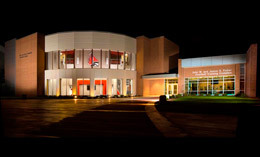 Notable Event: Grand Opening of the Ball State University Football Complex in Muncie, IN. This is the first building designed by a female architect, (Diana M.H. 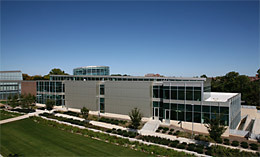 Brenner, FAIA) on the BSU campus. Thanks to all our Clients old and new, we hope to continue to serve you in 2017 and beyond with integrity, honesty and excellent service.